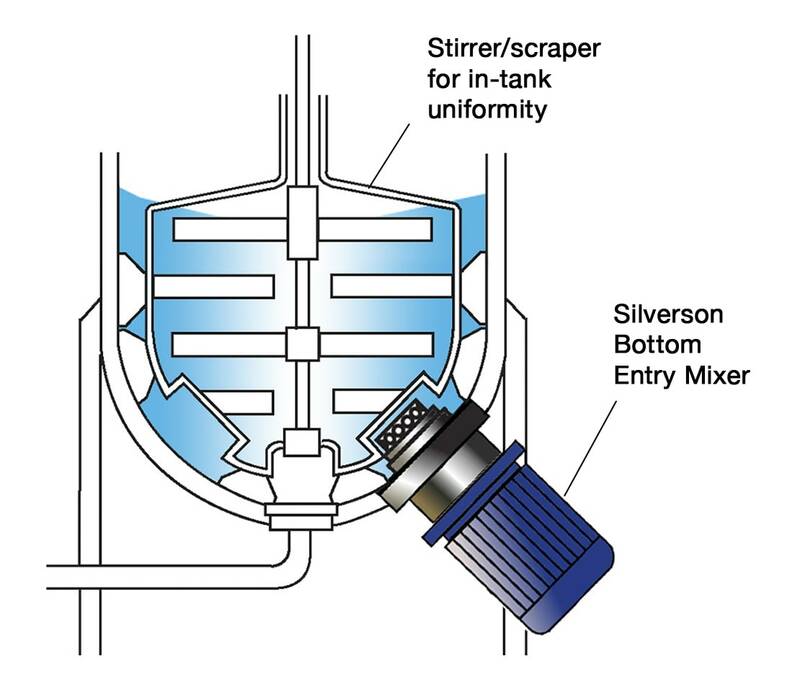 The installation of a Silverson In-Line mixer has solved production problems for a major food processor. They manufacture products such as fish fingers and chicken nuggets in a continuous process as summarised below. Problems were experienced during preparation of the batter mix, where flour and other powdered ingredients were forming lumps which the existing mixing equipment could not break down. These stuck to the product in the enrobing stage, resulting in an unsatisfactory appearance to the finished product. In some cases, misshapen or oversized products would not fit into packaging properly, bringing production to a standstill. Further problems arose because the batter mix is also recirculated from the enrobing system back to the holding vessel; lumps had a tendency to build up, reducing the flow of material and raising potential hygiene issues. 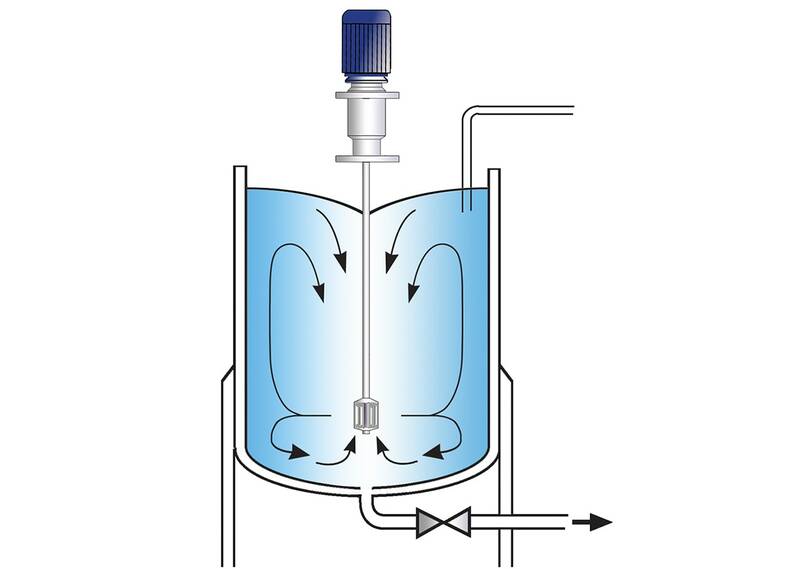 The self-pumping In-Line mixer draws batter mix from the vessel through the pipeline and into the workhead. The high speed rotation of the rotor subjects the materials to intense high shear. Centrifugal force drives the material towards the periphery of the workhead, where they are subjected to a milling action in the precision gap between the rotor and stator. The product is forced out through the holes in the stator, ensuring that any lumps and agglomerates are broken down to produce a smooth, homogeneous mixture. 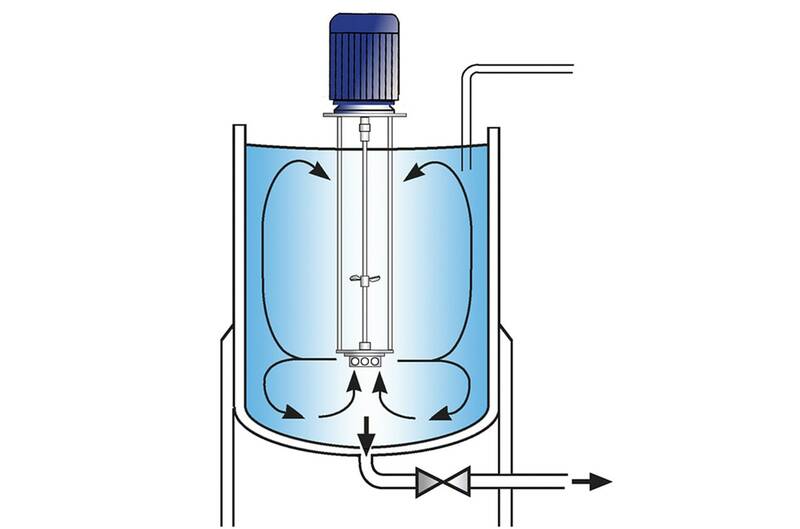 The batter mix is pumped away to the enrobing unit by the self-pumping action of the In-Line mixer. A single pass through the self-pumping unit deagglomerated the mix. Improved appearance of finished product. Increased efficiency and hygiene of the recirculation system. Improved yield of raw material. Better overall consistency of the mixture. An In-Line mixer was the simplest and most efficient solution to this problem. 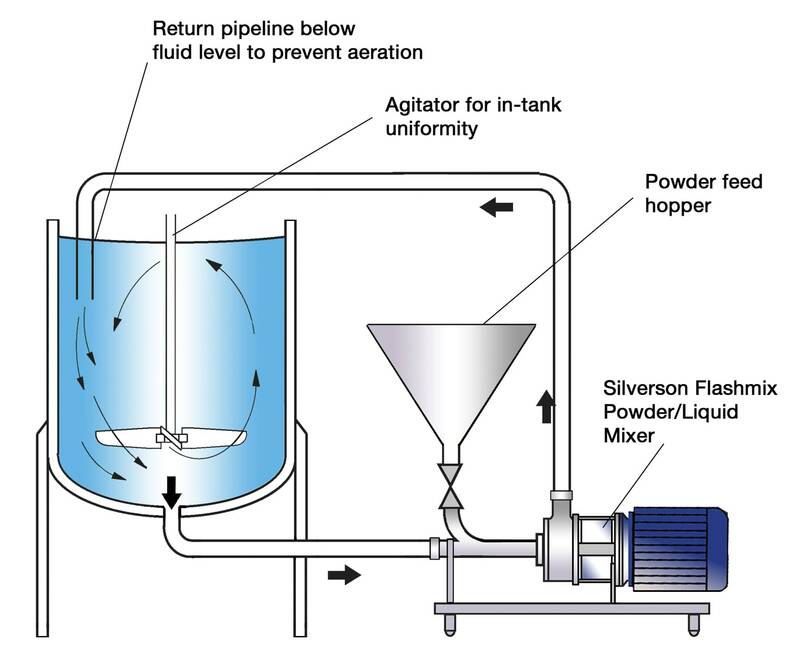 Silverson also manufactures a range of other mixers which could be used in place of the existing mixing apparatus, the selection of which depends on factors such as type of ingredients, batch size and the viscosity of the batter mix. Find out more about the Preparation of Batter and Coating Mixes.